Lyn Goeringer is an electronic musician and sound artist whose work focuses on the relationship between bodies, space, and the environment. Her sound worlds most often tend to shift between intense focus and noise, combining field recordings with synthesis in live performance environments. Her scholarly research investigates space, place, and the Everday, and she is currently working on her book “Unseen Media: Towards a Media Archeology of EMF” where she explores in depth the use of EMF as a medium by sound artists working in urban environments. 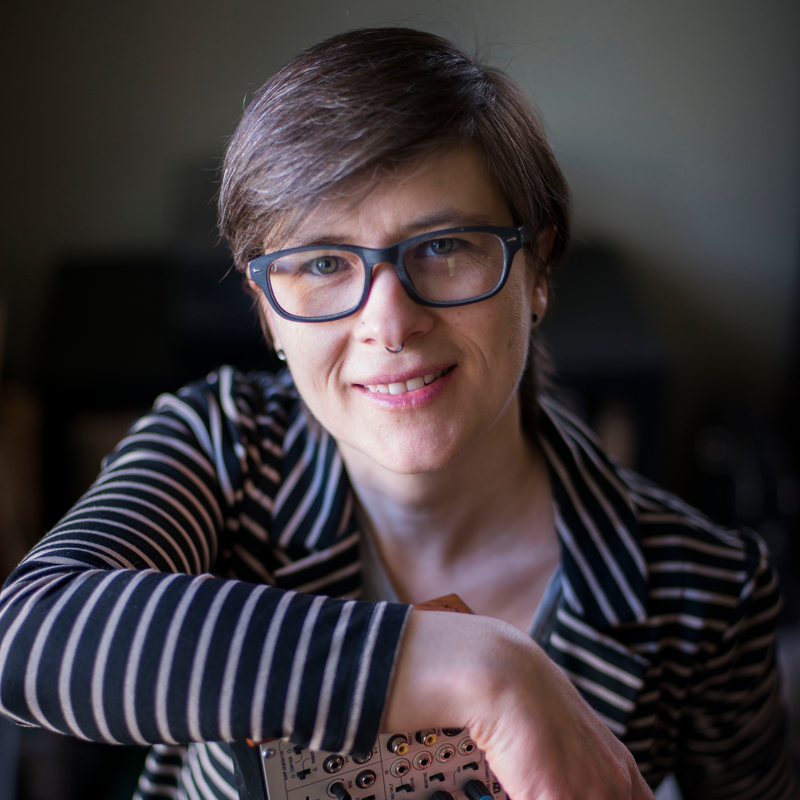 She is currently the Director of Electronic Music and Multimedia Studios, and holds the joint appointment of assistant professor in Composition and in Film Studies in the Department of English at Michigan State University, in Lansing, MI. When she isn’t working on new electronic sound pieces, she is either out for a walk, painting, or hanging out with her cats Rinchen and Norbu.